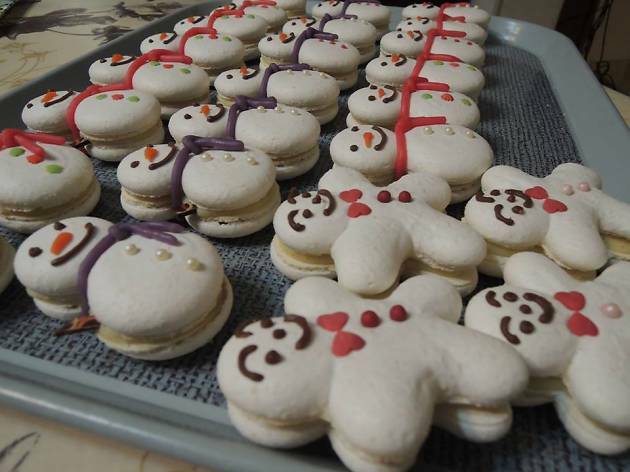 Paris’s Japanese Christmas market offers everything from snowman-shaped macaroons to ‘knot jewellery’ and manga. From December 2-5 2015, all 300 square metres of the Espace Cinko in the 2nd arrondissement will be given over to a meticulously curated Japanese Christmas market, with a whole host of specialist designers, artists, ceramicists and pâtissiers flogging their elegant handmade wares. 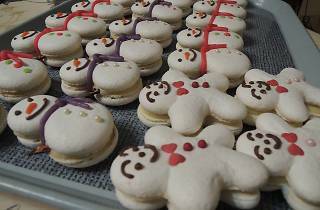 Some of the most attractive items on sale this year include animal and snowman-shaped macaroons from Pâtisseire Mayu (flavours include green tea and Yuzu), highly original pearl and rock accessories from Ayumi Okazaki, Maison Nozaky’s light and elegant silk ‘knot jewellery’ (inspired by the ancestral Japanese art of knotting), fantastic porcelain paintworks from Kaori Ishii, and a variety of traditional Japanese accessories, clothes and bags from the likes of Ikuyo Takahashi and Keiko Nomura. The Librairie Junka will also be on site, offering a diverse selection of books, magazines and comics normally only available in Japan.